K Ganga is frustrated about where her family of four was settled after the 2004 tsunami. "This is like living in the middle of a jungle, so far away from the next village," she told IRIN from her house in Walahanduwa, a tsunami housing scheme of more than 100 units built by the Sri Lanka Red Cross in 2006, 120km south of the capital Colombo in the Galle District. More important, the houses are 10km from the shore. The move followed a government edict for a no-build buffer zone along the coast and because there was a scarcity of available land close to the densely populated southern coast. "There is no proper bus service and if we take a three-wheel taxi to the main road it costs us Rs500 [about US$5]," Ganga said. "The other option is to walk to the main road and that takes 40 minutes." Her two children have also seen their lives change dramatically since the tsunami. Previously, they attended one of the best government schools in Galle town but since the relocation they have been forced to switch to an inferior school. "We can't send them for extra classes in the town [Galle] because we can't afford the transport costs," said Ganga. Despite receiving the new houses, she said, some of the owners only lived in them for two or three days of the month while others had abandoned them or tried to sell them. "The house is ok, but what about getting to work, schools and other daily chores? All of us lived and worked next to the coast, we were used to that," she said. The tsunami killed more than 35,000 people, displaced over half a million, destroyed at least 120,000 houses and left a reconstruction bill of more than $3 billion, according to the government. As the fourth anniversary of the tragedy looms, the bulk of the massive reconstruction effort is winding down to mixed results. "Sri Lanka's tsunami reconstruction was negatively affected by the ongoing conflict. The speed of reconstruction was much slower in the north and east of the country for obvious security-related reasons than in the south and west," the World Bank reported in a statement to mark the anniversary. Its $135 million assistance programme closed in September 2008. The Bank also said the lack of effective institutions overseeing the reconstruction effort had slowed progress. 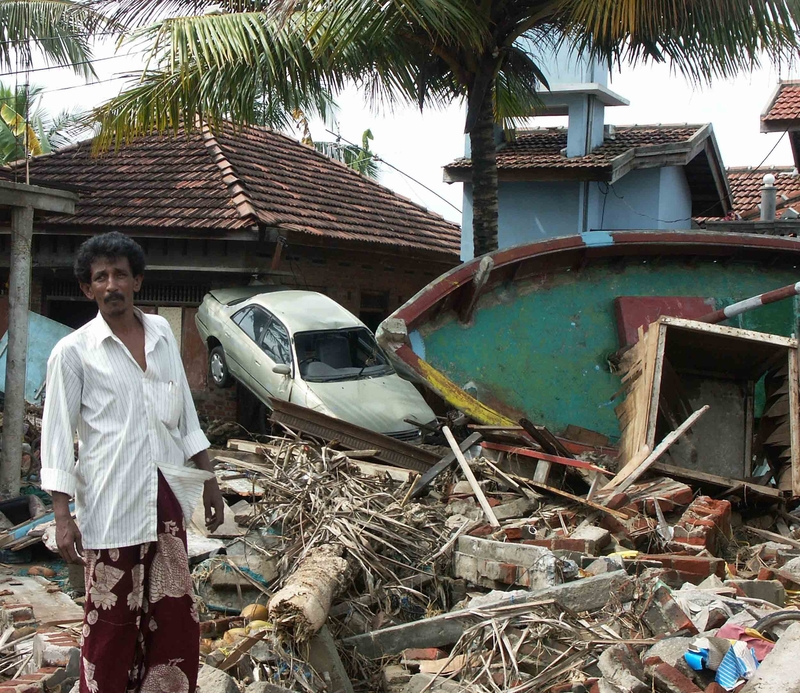 "Sri Lanka's tsunami reconstruction was hampered from time to time by the dearth of effective institutions, especially at the central government level, to undertake the huge task of reconstruction." The Bank said government institutions lacked experience and the capacity to carry out the massive reconstruction effort. However, the "[r]elative successes of the livelihood restoration programme and the homeowner-driven housing reconstruction programme, where cash grants were directly transferred to tsunami victims, show that reconstruction is best achieved when disaster victims are in the driver's seat", it stated. The Bank assisted in the reconstruction of 45,000 houses while the International Federation of the Red Cross said it had completed 22,000 houses, reaching its full commitment of 32,866 by early 2009. "Housing was by far the largest physical asset lost in the tsunami," Conrad de Tissera, programme manager of the UN's Human Settlements Programme, UN-HABITAT, in Sri Lanka, told IRIN, "It also represented the most valuable family asset every family wanted to recover in their struggle to rebuild their lives." He said more than 87,000 houses had been constructed under the owner-built programme. "The strategy enabled re-establishing self-sustaining communities of families affected by the tsunami, through the building of physical and social infrastructure and housing, and set them on a path to begin a normal, self-reliant life recovering from the trauma of the tsunami." However, even those who received aid and assistance without delay, such as Ganga, feel let down by international donors as well as national authorities. "There were so many promises. They said billions had been pledged, lots of important people came to the country," she said, "but finally what we received was so small." Financial specialists concurred. "Early ultra-rosy assessments seemed unrealistic even then. They have, by now, certainly failed the test of time," the Asian Development Bank stated in a report, Reconstruction after a Major Disaster: Lessons from the Post-Tsunami Experience in Indonesia, Sri Lanka, and Thailand, released on 19 December.